Tickets on sale from Queens Hall booking office. The latest music film OUT NOW. “Sweet Frederik” taken from latest release Beyond the Milky Way. 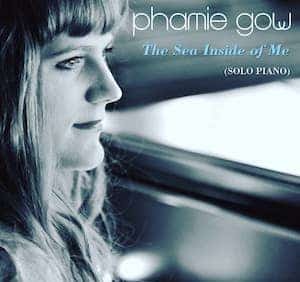 Throughout her albums, Phamie Gow’s diverse range of musical talents (multi-instrumentalist, singer, composer, producer, Musical Director) and her collaborations with other world class artists has brought a strong new breadth of undeniable talent to the world. 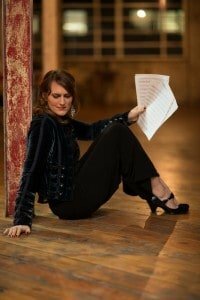 With Gow’s creativity and new ‘sound’ it is safe to say that she has created a new movement in the genre of celtic/classical/world cross over music through her innovative compositions on the harp and piano. With her first album released at the age of 19 she made a strong and lasting impression. At an early age Phamie was already described as “an extraordinary talent” by the ABC and “a definite rising star” by Classic FM. Her sixth album “Road of the Loving Heart” goes further to establish that, making a huge and emotive impact on new wave Piano composition of the 21st century. 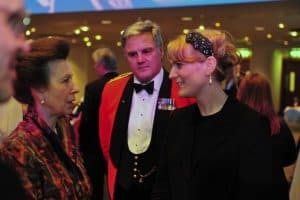 She has most recently been described as being “one of Scotland’s most unique talents” by Ian Smith of Creative Scotland, and ‘a GENIUS composer’ by Peter Seivewright, Internationally known concert pianist. 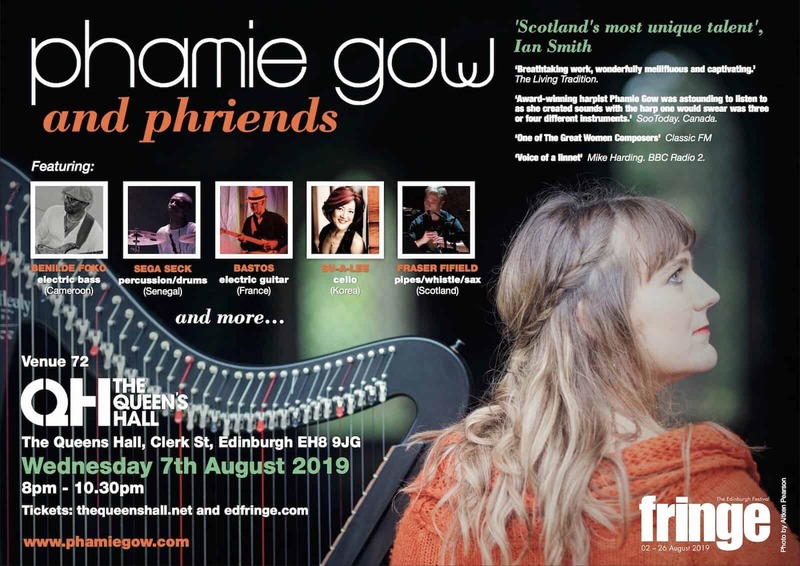 Phamie is currently the number 1 most played artist in Caffé Nero (UK) and is regularly featured on radio around Europe, Australia, America, and the UK including Classic FM, Europe’s most successful and commercial classical music radio station. – Catriona Black, The Gaelic Music column.